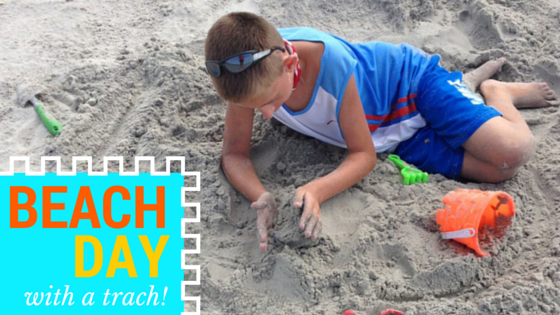 CCA Kids Blog: Pro Tip: Enjoy the Beach with a Trach! Pro Tip: Enjoy the Beach with a Trach! Today on the blog, CCA Mom Shannon shares a tip she learned on how to help her son enjoy the beach --- with a tracheostomy. Shannon Polzin is a CPC, Medical biller and the mother of Logan Polzin in Massillon, Ohio. She enjoys making fun memories to reflect on and playing ball with the family dog, Leo. 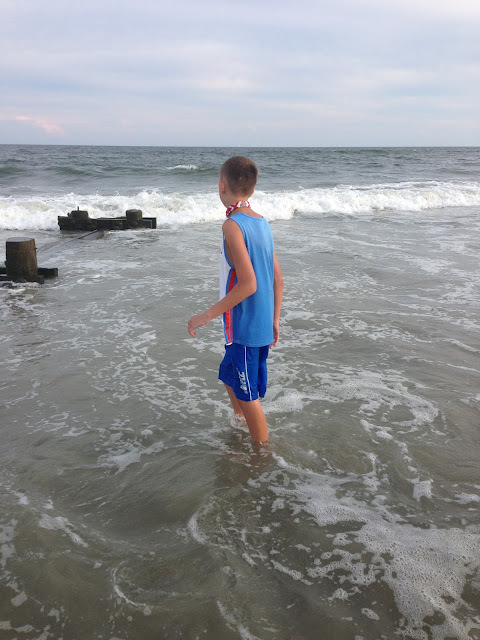 My 12-year-old son, Logan, has always wanted to visit the ocean and play in the sand and water. But with a trach (even though it’s capped), this is something that is dangerous. After researching for years, we finally found a way to take him to the beach to let him be a kid and have fun! So, we are excited to share our solution. We bought some Tegaderm (usually used to cover IVs) and poked a small hole in the Tegaderm and placed his trach through the hole. We then carefully pulled the paper off the Tegaderm (to show the sticky side) and placed his trach back in his neck, sticking the Tegaderm to his neck around his hole. What my son liked most about this is that it was semi-flexible and transparent. It is important that your child is capped and doesn’t go under the water…this idea is only water resistant… not water proof! It is also important to monitor the Tegaderm to make sure it doesn’t begin to peel away from the skin if your child wears it longer than a few hours. Remember to stay with your child in case he or she would get hit by a wave and fall so you can keep him or her safe. Make sure the child keeps it on until it's time to shower. 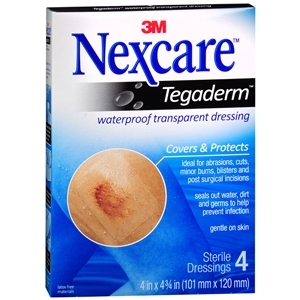 Once you are sure all the sand has been removed from his or her body, then you can peel off the Tegaderm (like a big sticker). You can find this item on Amazon*…or just search the web for a company that you like. Tegaderm also comes in different sizes…so make sure when you are ordering you get the right size based on the child's size and the area that needs covered. Then, get out and enjoy some fun in the sun! *Make your shopping count! Shop through the iGive/AmazonSmile portal and double your donation, just by shopping! I think this article helped, thank you! Ask the Doctor: What about the Vertex Bulge?